M(i)s Ch(i)ef™: In the Finger Limelight! One of the most interesting Aussie bush fruit that I was introduced to last year at Fins Restaurant in Kingscliff, is Finger Lime. It is an ugly looking finger that when you squeeze, spurts out little juicy, citrussy spheres which burst in your mouth. I liken the texture to caviar, but with a sweet, tangy, fresh flavour. Last week our good friends, with finger lime orchards sent us down 2kgs. Most were packed into the freezer so we can enjoy them year round, but the rest are looking tempting on my kitchen bench. Just as normal limes have a place in both sweet and savoury food, I decided to do a finger lime themed dinner to put the lime in the limelight! 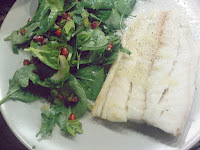 Inspired by a recipe from Good Food Magazine this month, I prepared the Fish Parcels with Pomegranate and Finger Lime Salad for main, and for dessert, Kaffir Lime Pannacotta with Finger Lime Syrup. The fish is laid on a large sheet of baking paper and seasoned with lemon juice, seeds from a finger lime, a glug of olive oil and a bay leaf, then wrapped tightly in the paper and baked for 10 mins. The Pomegranate Salad was a fresh addition with baby spinach leaves, celery, spring onion, parsley, coriander, pomegranate seeds and finger lime flesh with a light olive oil and lemon juice dressing. 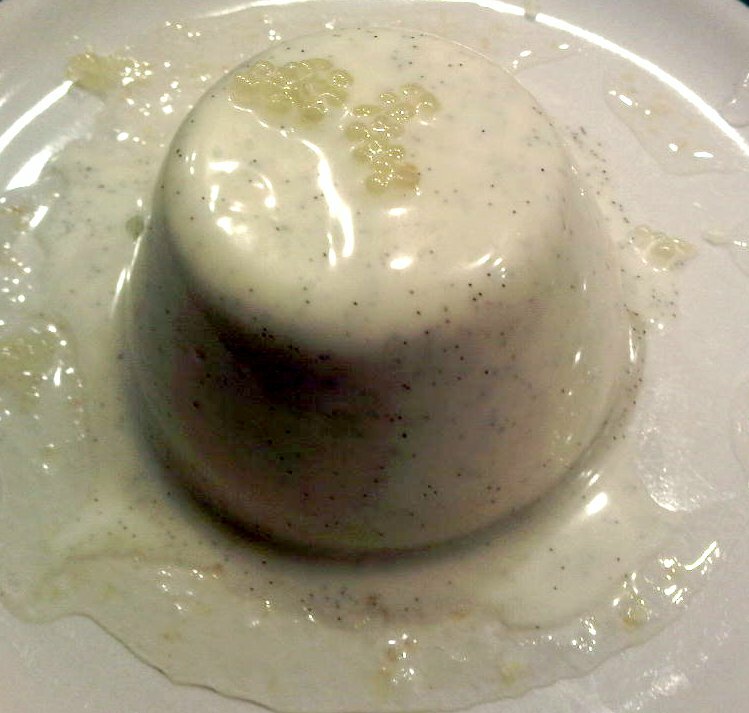 It was my first attempt at pannacotta, but I wanted to emmulate Fins delicious Lemon Myrtle Pannacotta with Finger Lime. We grow Kaffir lime on our balcony, so I opted for to combine lime flavours for the dessert. It was a great balance between citrussy flavour, creamy texture, sweet limey syrup and the explosion of the finger lime spheres which truly pop in the mouth! 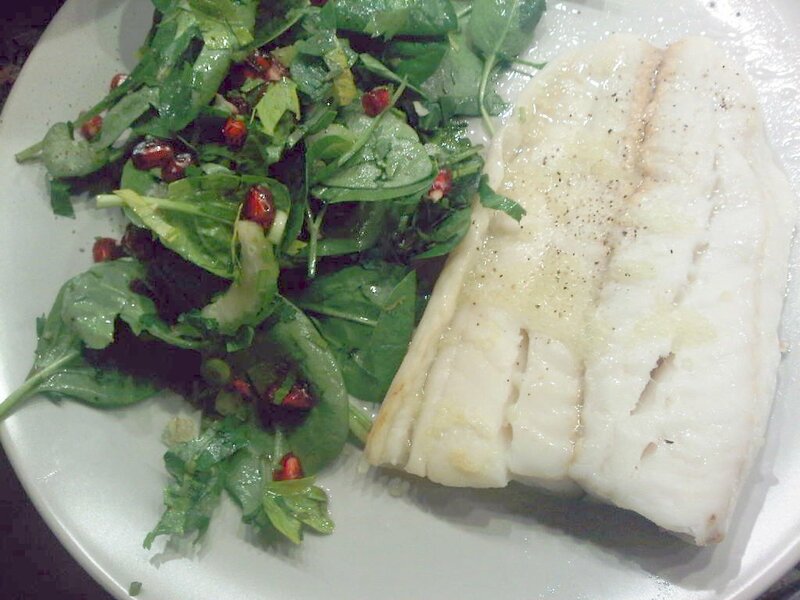 A beautiful fresh dinner to highlight a lesser known magical fruit from the land of Oz! I've heard about finger limes but have never tried before. Very curious about the taste! Absolutely love Finger Limes, really pleased to see this article. Hugely under-rated ingredient.